Getting ready to build new arrows or wrap a set of arrows? Make sure to visit our category just for arrow wraps, we have stock design and an online design tool to create your own wraps. 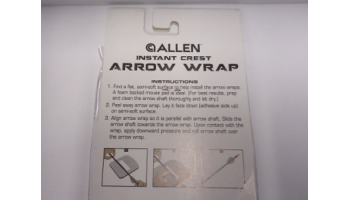 Browse below for more arrows and parts, including vanes and wrapping tools.